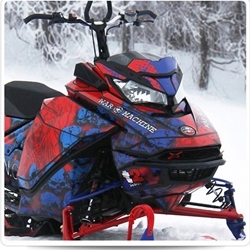 ProTec Series 3960 is the solution for heavy-duty or power sport applications exposed to high levels of abrasion, acting as an extremely durable barrier to protect decals and graphics while maintaining optical clarity. ProTec Series 3960 is a flexible, high performance, 12-mil overlaminate on a clear synthetic liner with a quick “wet-out” adhesive system keeping ultimate gloss retention and pristine image quality. With efficiency top of mind, ProTec Series 3960 is designed to be laminated cold, without heat. Pair this with Arlon DPF 8000™ Ultra Tack and DPF 8200 High Tack for high-impact graphics.